Fremantle Arts Centre has confirmed its position as one of Perth’s most popular concert venues, with ticket sales for events over the next few months topping $1.2 million. “Fremantle Arts Centre really is a uniquely atmospheric concert venue. Music fans love it and the artists love playing there,” Mr Stone said. “What’s amazing about the recent ticket sales is that the Arts Centre has traditionally been known as a summer venue, but these shows are in that shoulder period in May and September. Other big acts to perform at FAC in recent years include Midnight Oil, Nick Cave, Chet Faker, Paul Kelly and The Waifs. Although the City of Fremantle run Arts Centre doesn’t directly benefit from the proceeds of ticket sales, Mr Stone said the concerts bring in important revenue through other sources like venue hire and bar sales. “These concerts not only make a great contribution to the cultural life of Fremantle, they also contribute to the ongoing financial support of FAC,” Mr Stone said. In a community survey about local government services last year Fremantle Arts Centre was rated the most loved arts centre in WA. 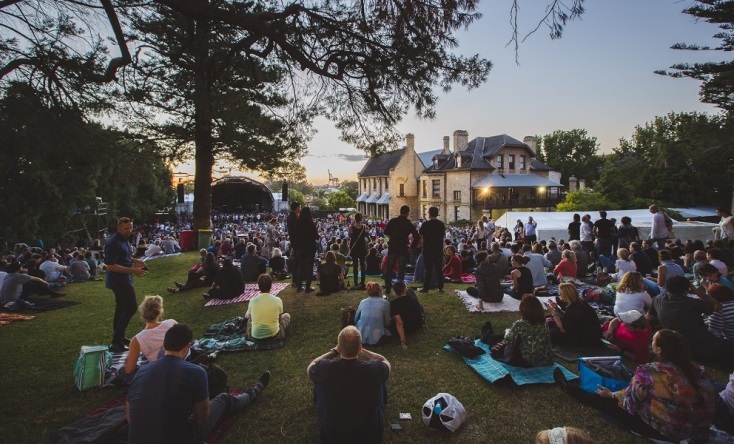 In addition to big concerts the Arts Centre hosts a range of other free events and exhibitions, like the Sunday Music series and the current Revealed exhibition of new and emerging WA Aboriginal artists. The exhibition, which runs until May 20, features works by more than 80 regional and local artists and showcases the diverse and vibrant state of Aboriginal art. FAC is also offering a range of kids courses over the school holidays, including film-making workshops, animation courses and pottery classes. To enrol in school holiday courses or find out more about what’s on at FAC visit the Fremantle Arts Centre website.